Prime Minister Narendra Modi has expressed grief over the derailment of the Utkal Express in Muzaffarnagar, Uttar Pradesh. The Prime Minister informed that the situation is being monitored very closely, and that the Railways Ministry and UP Government are doing everything possible and providing all assistance required. 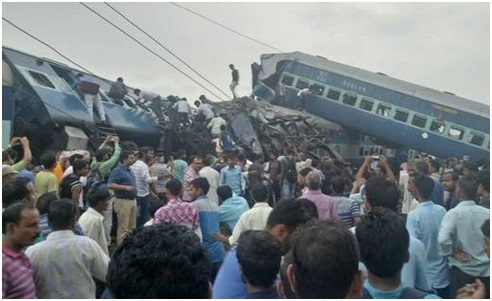 Prime Minister Narendra Modi has expressed grief over the derailment of the Utkal Express in Muzaffarnagar, Uttar Pradesh.